Winner of the Pulitzer Prize, Guns, Germs and Steel examines the rise of civilization and the issues its development has raised throughout history. Having done field work in New Guinea for more than 30 years, Jared Diamond presents the geographical and ecological factors that have shaped the modern world. From the viewpoint of an evolutionary biologist, he highlights the broadest movements both literal and conceptual on every continent since the Ice Age, and examines societal advances such as writing, religion, government, and technology. 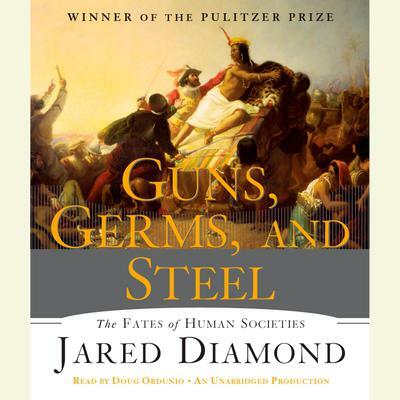 Diamond also dissects racial theories of global history, and the resulting work—Guns, Germs and Steel—is a major contribution to our understanding the evolution of human societies.